What a great gift idea! Subscription boxes are a way to keep the fun going all year long if you give one for a birthday gift or Christmas gift. 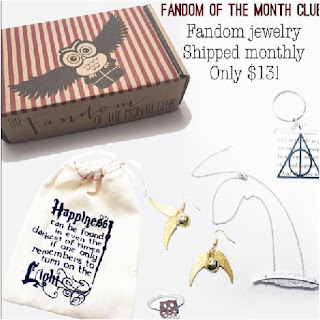 The Fandom of the Month Club subscription box is one of my favorites with beautiful jewelry and fun items with all your most loved fan favorites! 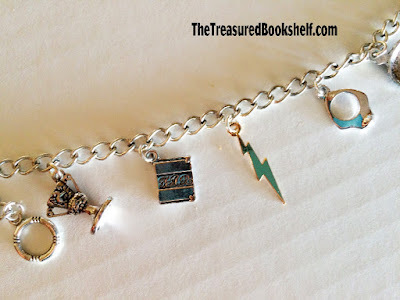 This is a post from my other website The Treasured Bookshelf. 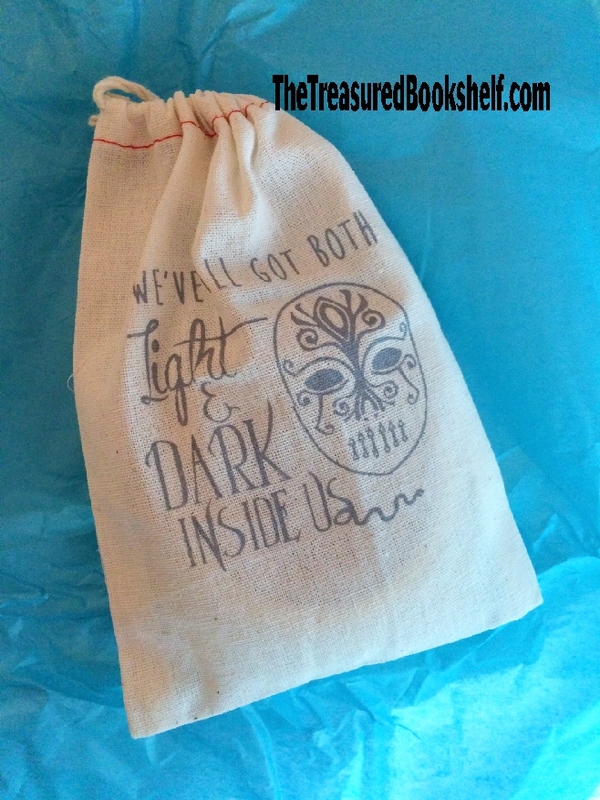 I wanted to share this amazing subscription box since it's one of my favorites. I hope to be able to share a lot more styles and fun since subscription boxes make such great birthday gifts for everyone on your list. Don't you just love subscription boxes? I have really taken to them lately. I love the surprise, the cool products, and the excitement of waiting for a new box to come each month. Six months later, I'm still hooked and purchasing it every month with my own money. Each month of the Fandom of the Month club, you receive 3-4 pieces of Jewelry, a postcard, a magnet, all in a screen printed drawstring bag. All the items have a fun fandom theme which is a surprise. In past bags, I've received Mario themed items, Star Wars themed items, and Percy Jackson themed items for example. 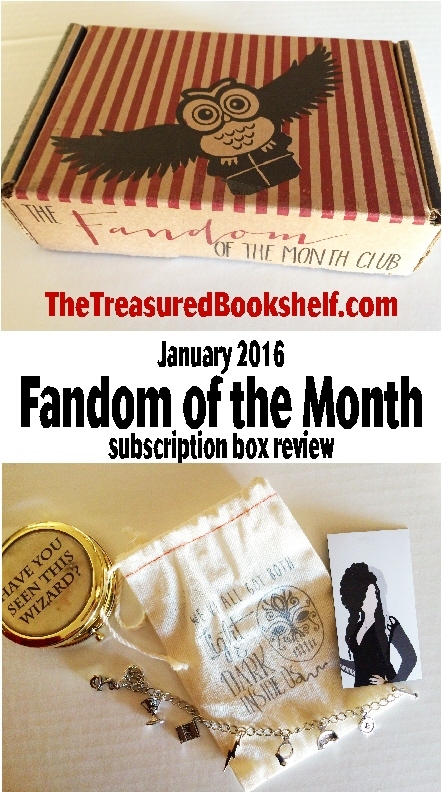 The items come in a fun Fandom of the Month printed box. I love these boxes and have started using them in my craft room to keep some of the little items organized and together. Plus, the owl design is super cute and fun. Inside the box, the jewelry items are placed inside the drawstring bag. Each month, the bag has a saying printed on it that has to do with this month's theme. This bag says "We've all got both Light and Dark Inside Us" and has a sugar skull type mask on the side. I haven't figured out quite how to use these bags yet. I've got one in my purse carrying around my make up but the rest are just sitting in a drawer waiting for a use. Anyone got any ideas? 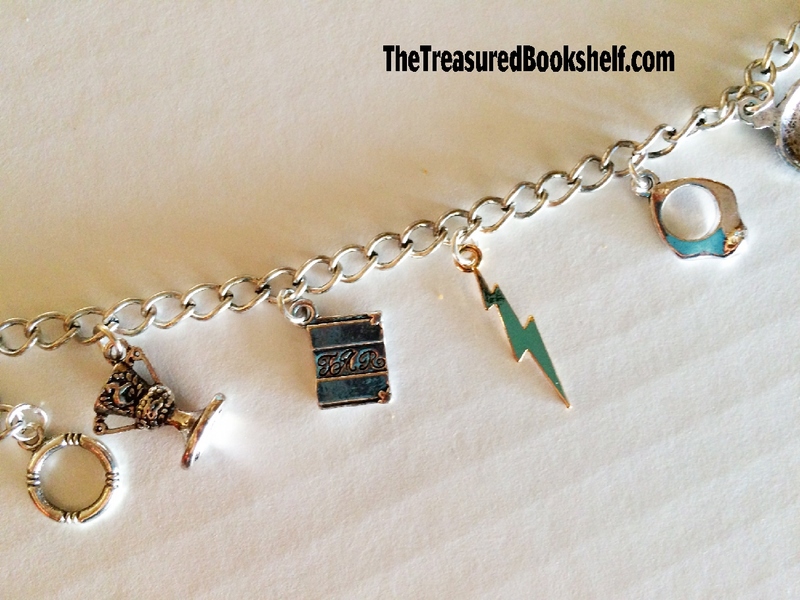 Inside my bag, I found this awesome Horcrux Charm Bracelet. It has little hanging pendants of each of the horcruxes that Harry and Dumbledore had to find and destroy to defeat Voldemort. The charms have instricut detail and are well made. 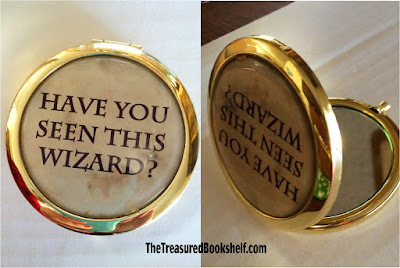 We also received this beautiful compact mirror in the subscription box. It has the saying "Have You Seen This Wizard?" on the front and has double mirrors on the inside. I saw this for a whole 2 seconds before my 11 year old grabbed it and claimed it. I think it would be great to have in my purse to carrying around to check hair and makeup while on the go, but I'm not sure I'm going to ever get it back in the end. I did see that some subscribers received some earrings in their box too. I didn't get any, and this is the first time that anything has ever been missing (that I could tell from the Instagram unboxing photos.) I'm not too upset since I rarely ever wear earrings and some times the earrings can be a bit much for my taste. 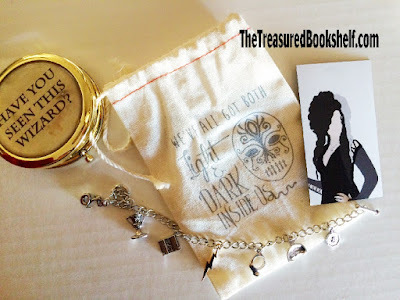 The box also contained a small magnet with a picture of Bellatrix LeStrange on the front. The artwork is really cool and decorates my refrigerator to make me smile as I enjoy all the different fandom characters in my home. Lastly, each box comes with a postcard with a note from the Fandom of the Month creators on the back. 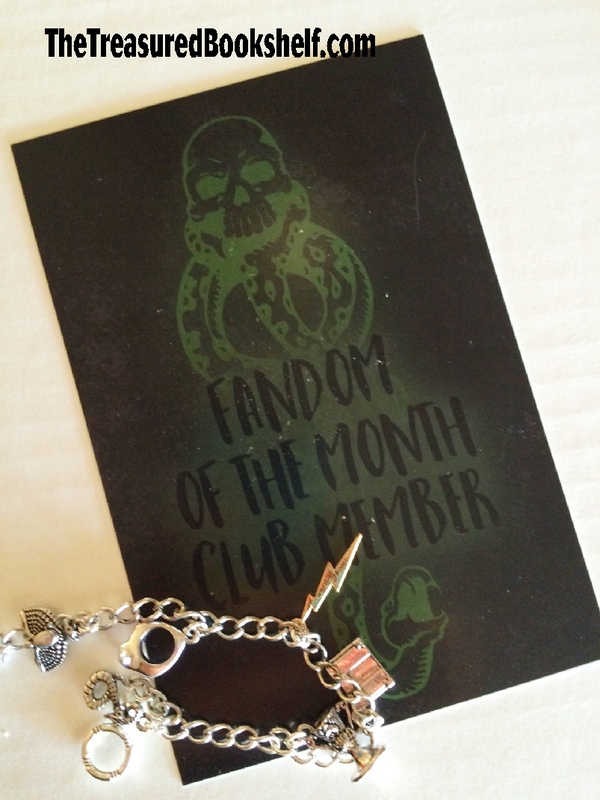 This month had the Death Eaters symbol in the background. The box is a great price. It's only $13.00 with $3.95 shipping in the US and $9.95 shipping internationally. I have been subscribing for 6 months now and don't see any plans to stop in the future. If you are a fan girl (or guy), I would recommend checking out the Fandom of the Month Club. You can follow them on Instagram and on Facebook for sneak peeks, unboxing reposts, and more. 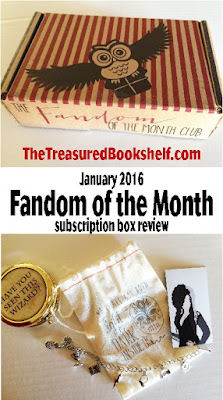 If you want to check out your own box of Fandom Delight, you can sign up for the Fandom of the Month club hereFandom of the Month Club Subscription Box.